DIARALIA is a homeopathic medicine traditionally used in the symptomatic treatment of acute transient diarrhea. DIARALIA is a homeopathic medicine traditionally used in the symptomatic treatment of acute transient diarrhea ..
Lozenge 1, 4 to 6 times a day, for a maximum of three days of treatment. Discontinue treatment as soon as symptoms disappear. In children 18 months to 6 years: dissolve the tablet in a little water before use, because of the risk of aspiration. As soon as the permitted age, dissolve the tablets under the tongue. The duration of treatment should not exceed one week. 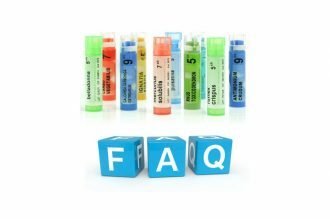 In the absence of experimental and clinical data, and as a precautionary measure, the use of this drug should be avoided during pregnancy and lactation. · In children under 18 months. · If you are allergic (hypersensitive) to the active substances or to any of the ingredients in CORYZALIA orodispersible tablets. If you are taking or have recently taken any other medicines, including medicines obtained without a prescription, talk to your doctor or pharmacist. This medication is to be taken between meals. Like all medicines, DIARALIA orodispersible tablets may cause side effects, although not everybody will not matter. This medication should not be used in case of vomiting, high fever, blood in the stool. Any significant diarrhea exposed to the risk of dehydration requiring appropriate rehydration. If diarrhea persists beyond 3 days, a medical consultation is necessary. 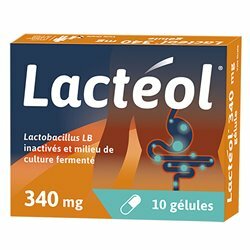 Use of this medicine is not recommended in patients with galactose intolerance, a Lapp lactase deficiency or malabsorption syndrome glucose or galactose (rare hereditary diseases).